Nestor Rodriguez has conducted international research in Mexico, Guatemala and El Salvador, and has traveled and lectured in China and Japan. His present research focuses on Guatemalan migration, U.S. deportations to Mexico and Central America, the unauthorized migration of unaccompanied minors, evolving relations between Latinos and African Americans/Asian Americans, and ethical and human rights issues of border enforcement. International migration patterns have become highly dynamic since the late twentieth century. The UN Population Division estimates the number of international migrants grew from 156 million in 1990 to 214 million by 2010. This seminar uses a sociological approach to focus on the social organization of international migration and effects (including social and policy reactions) this migration has on settlement areas and communities of origin. The seminar is intended to consider and review cases and issues of migration across different countries and world regions, and not just patterns that affect the United States. This seminar is designed to survey social research conducted across various topics (gender/women, policies, labor market integration, restrictions, etc.) of international migration, and concerning different national populations. Become familiar with research methods and findings in prominent topics of international migration research. The course will follow a format in which reading, writing, and group discussion compose the central ctivities of the seminar. Graduate student participation is essential for the operation of the seminar. My assumptions of international migration are that it a) follows an historical course, b) flows from the interaction between human agency and social structures, c) takes normal paths of social division/tension and degrees of social incorporation, d) is affected by social constructions regarding different national-origin groups, and e) has a significance of being a resource for social reproduction within large social structures. UT Austin policy requires that you notify course instructors at least 14 days in advance if you plan to be absent due to a religious holiday. You will be given an opportunity to make up activities (exams, assignments, etc.) that you miss because of your absence due to a religious holiday. You will be given a reasonable time to make up an exam or assignment after your absence. Castles, Stephen, Hein De Hass, & Mark J. Miller. 2014. 5th edition. The Age of Migration: International Population Movements in the Modern World. New York: Guilford Press. Hernández-León, Rubén. 2008. Metropolitan Migrants: The Migration of Urban Mexicans to the United States. Berkeley: UC Press. Zhang, Li. 2001. Strangers in the City: Reconfigurations of Space, Power, and Social Networks within China’s Floating Population. Stanford: Stanford University Press. Seminar attendance and participation policy: Attendance is required at every seminar meeting; moreover, graduate students are expected to do the assigned weekly readings and come to the seminar prepared to engage in discussion about the topic covered for the week. Seminar participation accounts for 10 percent of the final grade. In addition, unexcused absences will reduce the grade average grade by three points for each absence. Graduate students will write a series of five short papers (3-5 pages) reacting to the assigned weekly readings. Each student will prepare a reaction paper to present in the seminar every other week. Each paper will be worth 20 points for a total of 100 points. Finally, graduate students are required to write a seminar paper on a topic of international migration. The paper may take one of the following three forms: a) a new research proposal draft for a thesis or dissertation, b) a critical annotated bibliography with an evaluative section to be used in preparation for a comprehensive examination, or c) a paper for submission to a conference or a journal. This assignment is worth 100 points. Students will present their paper assignments in the last weeks of the semester, but are strongly encouraged to update the seminar members regarding the progress of their papers. I plan to use Canvas to make announcements, distribute information, communicate with students, and post grades. Students are encouraged to use Canvas to communicate and share comments and information. Please check your Canvas site regularly to look for communications from me or from other students in the class. Support for using Canvas can be obtained from the ITS Help Desk at 475-9400, Monday through Thursday, 8-10pm and Friday, 8am to 6pm. ITS has a walk-in help desk on the first floor of the Flawn Academic Center. Letter grades (A, B, C, D, F) based on percentage of total points: A = 90%-100%, B = 80%-89.5%, C = 70%-79.5%, D = 60%- 69.5%, F = less than 60%. Grades will be assigned a plus or minus sign based on score in the usual decile point intervals, for example, 80 – 82 = B-, 83 – 86 = B, and 87 – 89 = B+. Note: I am authorized by the University to discuss grades only with students. Immigration patterns have significantly affected the development of U.S. society since its inception. In the 1990s, the United States experienced a record number of new immigrants admitted into the country, and the last decade (2000-2009) recorded even a larger number of immigrants admitted. This course uses a sociological perspective to address various impacts of immigration in U.S. society. This course is designed to provide a sociological understanding concerning the nature of immigration in U.S. society, including an understanding of how immigration affects large (macro) and small (micro) social units in the society. Gain background information on the development of immigration patterns in U.S. society and discuss the social forces that affect these patterns from the perspective of historical and recent immigration trends. Review and discuss different perceptions about immigration patterns. Review and analyze government statistical reports concerning annual immigration conditions and characteristics. Develop an awareness of the significance of immigration for the development of U.S. society. Since the 1940s, US control of the Southwest border has remained a major challenge in immigration policy. Border control has become one of the most debated topics in the country, including in federal and state legislative bodies. Annually thousands of unauthorized migrants cross the US-Mexico border into the United States to participate in US labor markets and in other social institutions. A consequence of unauthorized immigration and of the implementation of border control measures for deterrence has been the deaths of hundreds of migrants annually. Over the years, the deaths have added up into the thousands. The social effects of border control and the occurrence of migrant deaths have become sociological topics investigated by sociologists and other researchers to increase our knowledge and understanding of international migration and the effects of border policies. This course is designed to provide a sociological understanding of border control and migrant deaths at the US-Mexico border. Of particular importance for the course is research knowledge concerning border control policies and patterns of migrant deaths. Gain information and understanding of the development and effects of US border control policies concerning the following: border control campaigns, social and public perceptions of the border, migrant death patterns in border areas, government plans to redirect migration, ethics of border control, human rights and critical perspectives related to migrant deaths, bureaucratic ideology in border control, migrant death forensics, smuggling, community responses to migrant deaths, recent research on border control and migrant deaths. Review and discuss different approaches and measures for border control. Review and analyze government statistical reports concerning annual migrant apprehensions at the border and annual counts of migrant deaths in border sectors. Develop an awareness of the significance of border control for the development of US immigration policy. Review major impacts of US border control measures for local communities. “This course carries the flag for Cultural Diversity in the United States. Cultural Diversity courses are designed to increase your familiarity with the variety and richness of the American cultural experience. You should therefore expect a substantial portion of your grade to come from assignments covering the practices, beliefs, and histories of at least one U.S. cultural group that has experienced persistent marginalization.” . . The course is designed with the expectation that it will follow an intertwined format of lectures and class discussions. A key expectation is that students will come to class prepared to discuss thematic issues covered in the class, or at least come to class with a curious and critical predisposition to become intellectually engaged in the class. All students are expect to contribute to class discussion, with a high regard for an open academic dialogue, which values respect for the ideas, opinions, and views of others. Class attendance is assumed and expected, and highly encouraged. Students will have an opportunity to evaluate qualities of the course, including the instructor. The purpose of the student evaluations is to provide feedback to help improve the teaching experience. My assumptions about the nature of immigration in U.S. society is that it a) follows an historical course, b) flows from the interaction between human agency and social structures, c) takes normal paths of social division and degrees of accommodation and social incorporation, d) is partly affected by social constructions regarding different national-origin groups, and e) has its most profound significance within the dynamics of social reproduction (constant remaking of societies). Class attendance is required but not graded. I will assume that all students enrolled in the course attend all class meetings, and thus are informed of all class matters stated in class. Please try to arrive in class on time. Also, you should review previous lecture notes and bring questions to class about points you did not clearly understand—including points from the assigned readings. Please be attentive in class (turn off phones or set to vibration). You are greatly encouraged to participate in class discussion, and to do so in a manner that respects the rights of others to also participate. If you have a problem hearing the lectures and discussion, or viewing class presentations, please let the instructor know immediately. Dunn, Timothy J. (D) 2009. Blockading the Border and Human Rights: The El Paso Operation that Remade Immigration Enforcement. Austin: University of Texas Press. De Leon, Jason. (DL) 2015. The Land of Open Graves: Living and Dying in the Migrant Trail. Oakland: University of California Press. a) The course contains three exams and a paper requirement. The exams will consist of multiple-choice items. All exams have to be taken on the dates specified; the only exceptions to this rule are cases involving an emergency and authorization by UT Austin. In such exceptional cases, essay makeup exams for the first two regular exams have to be taken within a week after the originally designated dates in the specified sociology room for makeups. In the rare possibility that a student needs to take a makeup for the third exam, arrangements with have to be made with the instructor. Makeup exams will consist of essay questions only. Students who miss a scheduled exam must alert the instructor beforehand and consult with the instructor regarding the makeup. There is no procedure for making up the Final Exam outside of cases that are of a true exceptional and unusual personal pressing situation. Students have to take all exams on the dates and times specified. Exams cannot be taken earlier or later than the dates and times specified. The paper requirement is a research brief of 1,350 words (5 pages) on a class-related border/migration topic for which at least three (3) research journal publications are consulted and cited in the text, and listed in the Reference section of the paper. The motive for the paper is to give the student an opportunity to read research journal publications. Grading of the paper will include checking for a) the required number of words (1,450), b) the three required journal sources, and c) the adequacy and strength of the presentation in the paper. a) Three exams of 50 multiple-choice items (worth 100 points each). Since the 1940s, US control of the Southwest border has remained a major challenge in immigration policy. Border control has become one of the most debated topics in the country, including in federal and state legislative bodies. Annually thousands of unauthorized migrants cross the US-Mexico border into the United States to participate in US labor markets and in other social institutions. A consequence of unauthorized immigration, and of the implementation of border control measures for deterrence, has been the deaths of hundreds of migrants annually. Over the years, the deaths have added up into the thousands. The social effects of border control and the occurrence of migrant deaths have become sociological topics investigated by sociologists and other researchers to increase our knowledge and understanding of international migration. To get the most out of this class you should attend all classes and arrive on time. Also, you should review previous lecture notes and bring questions to class about points you did not clearly understand—including points from the assigned readings. Please be attentive in class (turn off phones or set to vibration). You are greatly encouraged to participate in class discussion, and please do so in a manner that respects the rights of others to also participate. If you have a problem hearing the lectures and discussion, or viewing class presentations, please let the instructor know immediately. Dunn, Timothy J. 2009. Blockading the Border and Human Rights: The El Paso Operation that Remade Immigration Enforcement. Austin: University of Texas Press. De Leon, Jason. 2015. The Land of Open Graves: Living and Dying in the Migrant Trail. Oakland: University of California Press. The paper requirement is a research brief of 1,350 words (5 pages) on a class-related border/migration topic for which at least three (3) research journal publications are consulted and cited in the text, and placed in the Reference. The motive for the paper is to give the student an opportunity to handle research journal publications. Grading of the paper will include checking for the required number of words (1,350), for the three required journal sources, as well for the adequacy and strength of the brief. b) Students have the option of writing a review of a journal research article on border control and/or migrant deaths for extra credit. The article and journal must be approved by the instructor, and the possible number of extra credit points gained will be from one (1) to ten (10) added to your cumulative grade points. Guidelines for writing this research report are given at the end of this syllabus. Please consult the course schedule below for the due date of the research report. c) All dates specified in this syllabus for course topics, exams, and papers are subject to change given unforeseen developments. a) Three exams of 50 multiple-choice items (worth a total of 100 points). Immigration patterns have significantly affected the development of U.S. society since its inception. In the 1990s, the United States experienced a record number of new immigrants admitted into the country, and the last decade (2000-2009) recorded even a larger number of immigrants admitted. High volumes of immigration continue. This course uses a sociological perspective to address the social organization of migration and various impacts of immigration in U.S. society. This course is designed to provide a sociological understanding concerning the nature of immigration in U.S. society, including an understanding of how immigration affects large (macro) and small (micro) social units in the society, as well as to provide an understanding of the social nature of migration. Review and use government online sources concerning annual immigration numbers and characteristics. The course is designed with the expectation that it will follow an intertwined format of lectures and class discussions. A key expectation is that students will come to class prepared to discuss thematic issues covered in the class, or at least come to class with a curious and critical predisposition to become intellectually engaged in the class. All students are expect to contribute to class discussion, with a high regard for an open academic dialogue, which values respect for the ideas, opinions, and views of others. Class attendance is expected and highly encouraged. During the course students will be asked to give formal and informal anonymous feedback regarding the teaching techniques and progress of the course. The purpose of the student feedback is to help create an effective learning experience. My assumptions about the nature of immigration in U.S. society is that it a) follows an historical course, b) flows from the interaction between human agency and social structures, c) takes normal paths of social division and degrees of accommodation and social incorporation, d) is partly affected by social constructions regarding different national-origin groups, and e) has its most profound significance within the dynamics of social reproduction. To get the most out of this class you should attend all classes and arrive on time. Also, you should review previous lecture notes and bring questions to class about points you did not clearly understand—including points from the assigned readings. Please be attentive in class (turn off phones or set to vibration). You are greatly encouraged to participate in class discussion, and please do so in a manner that respects the rights of others to also participate. If you have a problem hearing the lectures and discussion, or viewing class presentations, please let me know immediately. a) The course contains three regular exams. Exams will consist of 50 multiple-choice items. All exams have to be taken on the dates specified; the only exceptions to this rule are cases involving an emergency, as authorized by UT Austin. In such exceptional cases, makeup exams for the first two regular exams have to be taken within a week after the originally designated dates in the specified sociology room for makeups. In the rare possibility that a student needs to take a makeup for the third exam, arrangements with have to be made with me. Makeup exams will consist of essay questions only. Students who miss a scheduled exam must alert me beforehand and consult with me regarding the makeup. There is no procedure for making up the final exam outside of cases that are of a true exceptional and unusual personal pressing situation. Students have to take all exams on the dates and times specified. Exams cannot be taken earlier or later than the dates and times specified. b) Students are required to write a 1,350-word paper, or longer. The paper should address a topic or issue discussed in the course lectures or readings, and should cite at least three (3) journal publications to support the presentation or argument of the paper. Since the 1940s, US control of the Southwest border has remained a major challenge in immigration policy. Border control has become one of the most debated topics in Congress, and now even in state legislatures in border areas. Annually thousands of unauthorized migrants cross the US-Mexico border into the United States to participate in US labor markets and in other social arenas. A consequence of unauthorized immigration, and of the implementation of border control measures for deterrence, has been the deaths of hundreds of migrants annually. The social effects of border control and the occurrence of migrant deaths have become sociological topics investigated by sociologists and other researchers to increase our knowledge and understanding of the full nature of international labor migration. Each decade since the 1980s about 4,000 undocumented migrants have died trying to cross the US-Mexico border through dangerous terrain. This border mortality in the undocumented migrant flow raises important sociological, ethical, and legal issues about the formulation and implementation of border control strategies and resulting deaths. Sociologist, criminologists, the GAO, the CDC, legal experts, forensic scientists, etc.—all have published since on the topic of border control and migrant deaths in journals (e.g., International Migration Review, Criminology & Public Policy, American Journal of Public Health, and law journals), government reports, and in numerous monographs. The course will focus on the following related aspects of border control and migrant deaths: a) enactment of border control policies, b) policy implementation and death patterns at the US-Mexico border, c) patterns of unauthorized border crossings through dangerous border terrain, d) grassroots movements to support migrants and lessen deaths, and e) the ethics of coercive border control. Basically the course will survey the public sentiments and attitudes that undergird new border control policies, the patterns of migrant deaths in deserts and in the Rio Grande River associated with border control strategies, movements and community efforts to support migrants in the Arizona border area, and legal and ethical arguments and concepts that frame discussions of migrant deaths at the US-Mexico border. The course will enable me to delve into this important topic much deeper than in the “US Immigration” undergraduate course I presently teach. Guerette, Rob. T. 2007. Migrant Deaths: Border Safety and Situational Crime Prevention on the U.S.-Mexico Border Divide. El Paso, TX: LFB Scholarly Publishing. Haddal, Chad C. 2010. Border Security: The Role of the U.S. Border Patrol. Congressional Research Service, 7-5700, RL32562. Washington, DC. Meissner, Doris, Donald M. Kerwin, Muzaffar Chishti, and Claire Bergeron. 2013. Immigration Enforcement in the United States: The Rise of a Formidable Machinery. Migration Policy Institute. Washington, DC. Nevins, Joseph. Dying to Live: A Story of U.S. Immigration in an Age of Global Apartheid. San Francisco: City Light Books, 2008. Urrea, Luis Alberto. 2004. The Devil’s Highway. New York: Little, Brown and Company. Research report paper: short paper (5+ pages) summarizing and critiquing research report or journal article concerning an aspect of border control and migrant deaths; 50 points. and dynamics of societies according to conditions of different racial and ethnic groups. (macro) and small (micro) levels of social interaction affect these relations. and discuss the social forces that drove, and continue to drive, this formation. respect for the ideas, opinions, and views of others. concepts of race and ethnicity. To get the most out of this class you should attend all classes and arrive on time. points you did not clearly understand—including points from the assigned readings. discussion, or viewing class presentations, please let me know immediately. make up an exam or assignment after your absence. • Schaefer, Richard T. 2013. Race and Ethnicity in the United States. c) Total possible points = 300 (or 315 with full extra credit). Immigration patterns have significantly affected the development of U.S. society since its inception. In the 1990s, the United States experienced a record number of new immigrants, and the present decade is maintaining a high volume of immigration, perhaps heading to another record. This course uses a sociological perspective to address various impacts of immigration in U.S. society. This course is designed to help students develop an awareness of the significance of immigration in U.S. society. In the course, students learn to use sociological approaches to better understand the nature of immigration in U.S. society, including an understanding of how immigration affects large (macro) and small (micro) social units. Review and discuss different social perceptions and attitudes about immigration trends in U.S. society. To get the most out of this class you should attend all classes and arrive on time. Also, you should review previous lecture notes and bring questions to class about points you did not clearly understand—including points from the assigned readings. Please be attentive in class (turn off phones or set to vibration). You are greatly encouraged to participate in class discussion, and please do so in a manner that respects the rights of others to also participate. If you have a problem hearing the lectures and discussion, or viewing class presentations, please let me know immediately. Class participation is taken into consideration (10%) for the final grade. b) Websites to review: let’s make sure that these are the websites that are reviewed for each topic section. a) The course contains three regular exams and a “replacement” final exam. Regular exams will consist of multiple-choice items and an essay question, and the final exam will consist of essay questions. The final exam can be taken to replace the grade of a regular exam. All exams have to be taken on the dates specified; the only exception to this rule are cases involving a truly pressing situation (medical) or involving authorization by UT Austin. In such exceptional cases, makeup exams for the first two regular exams have to be taken within a week after the originally designated dates in the sociology room for make-ups. In the rare possibility that a student needs to take a makeup for the third exam, arrangements with have to be made with me. Makeup exams will consist of essay questions. Students who miss a scheduled exam must alert me beforehand and consult with me regarding the makeup. There is no procedure for making up the final exam outside of cases that are of a true exceptional and unusual personal pressing situation. Students have to take all exams on the dates and times specified. Exams cannot be taken earlier or later than the dates and times specified. b) Students are required to submit a report (minimum of 6 pages double space) based on a review of two articles on immigration-related research that have been published in peer-reviewed journals. Guidelines for writing this research report are given at the end of this syllabus. I have selected the following journals for students to review and select the articles: International Migration Review, American Journal of Sociology, American Sociological Review,Ethnic and Racial Studies, Black Studies, Journal of Asian American Studies, Social Forces, and Social Science Quarterly. Additional journals may be added to this list during the semester. Please consult the course schedule below for the due date of the research report. Late research reports will be accepted up to one class meeting late, but will be assessed a 10-point late penalty. Students have to give the URL address of the articles if they are accessible on-line, or provide a copy of the first page of each article if they are not accessible on-line. It is my intention to use Blackboard (http://courses.utexas.edu) to help manage the course and to pursue interaction with students. I plan to use Blackboard to make announcements, distribute information, communicate with students, and post grades. Students are encouraged to use Blackboard to communicate and share comments and information. Please check your Blackboard site regularly to look for communications from me or from other students in the class. Support for using Blackboard can be obtained from the ITS Help Desk at 475-9400, Monday through Friday, from 8am to 6pm. c) Final course grades will be determined based on the percent of total points made out of a grand total of 340 points: 90%-100% = A, 80%-89.5% = B, 70%-79.5% = C, 60%-69.5% = D, below 60% = F.
This seminar focuses on diverse patterns of international migration (Latin American, Asian, etc. ), how they are organized and how they affect societies and their populations across world regions. The topics addressed in the seminar include the following: historical and macro contexts of migration, the social organization of migration, gender/women and migration, impacts of economic restructuring, migration of highly skilled workers, levels of social incorporation, theories of international migration, state policies for immigration, restrictions against migrants, impacts of migration on sending communities and settlement areas. Stephen Castles & Mark J. Miller. 2009. The Age of Migration: International Population Movements in the Modern World. Guilford Press. 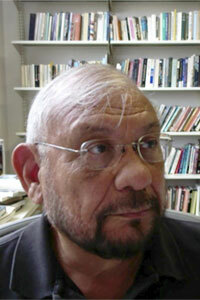 Ruben Hernández-León. 2008. Metropolitan Migrants: The Migration of Urban Mexicans to the United States. UC Press. Pierrette Hondagneu-Sotelo (ed.). 2003. Gender and U.S. Immigration: Contemporary Trends. UC Press. Anthony M. Messina & Gallya Lahav (eds.). 2006. The Migration Reader: Exploring Politics and Policies. Lynne Rienner. Li Zhang. 2001. Strangers in the City: Reconfigurations of Space, Power, and Social Networks within China’s Floating Population. Stanford University Press. Final course grades will be determined based on the percent of total points made out of a grand total of 340 points: 90%-100% = A, 80%-89.5% = B, 70%-79.5% = C, 60%-69.5% = D, below 60% = F.
The seminar addresses the topic of state coercive bureaucracies, that is, government agencies that are involved in coercive or potentially coercive enforcement, including the possible use of lethal force, affecting large numbers of people. Examples of U.S. coercive bureaucracies include the FBI, CIA, and the Department of Homeland Security bureaus of Immigration and Customs Enforcement and the Border Patrol; numerous other examples exist in countries abroad and in different historical periods. Coercive bureaucracies that target specific social categories (unauthorized migrants, ethnic groups, dissidents, etc.) often venture into politically sensitive terrain and face special organizational challenges. This is especially true in democratic societies where state bureaucracies undergo regular parliamentary review. The seminar is concerned with the conditions and dynamics of coercive bureaucracies involved in carrying out politically sensitive work, that is, with the internal and external political and organizational challenges they face and the techniques of coercion they use. Three topics will constitute the subject material of the seminar. Part 1 of the seminar will consist of a conceptual and theoretical overview, including critical perspectives, of bureaucratic organizations, as well as research approaches to the study of the dynamics of coercive bureaucracies. Part 2 will address the social structure of bureaucratic coercion through case study materials (Nazi exterminations, U.S. mass deportations, “War on Terror,” etc.). Part 3 will contain a summation of theoretical and research materials reviewed in the seminar and presentations of the student paper projects. Weber, Max. 1946. From Max Weber: Essays in Sociology. Oxford University Press, New York. Mills, C. Wright. 1956. Power Elite. Oxford University Press, New York. Risen, James. 2006. State of War: The Secret History of the CIA and the Bush Administration. Free Press, New York. Frontline. 2007. Cheney’s Law. PBS DVD. Vaughan, Ted R., Gideon Sjoberg, and Larry T. Reynolds (eds.). 1993. A Critique of Contemporary American Sociology. General Hall, Inc., Dix Hills, New York. Sjoberg, Gideon, Ted R. Vaughan, and Norma Williams. 1984. “Bureaucracy as a Moral Issue.” Journal of Applied Behavioral Research 20: 441-453. Vaughan, Ted R., and Gideon Sjoberg. 1984. The Individual and Bureaucracy: An Alternative Meadian Interpretation.” Journal of Applied Behavioral Research 20: 57-69. Jacinto Rodríguez Munguía. 2007. La otra guerra secreta: Los archivos prohibidos de la prensa y el poder. (The other secret war: The prohibited archives of the press and power) Random House, Mexico City. Feagin, Joe R., Anthony M. Orum, and Gideon Sjoberg. 1991. A Case for the Case Study. The University of North Carolina Press, Chapel Hill. Littrell, Boyd. 1993. “Bureaucratic Secrets and Adversarial Methods of Social Research.” Pp. 207-231 in Vaughan, Sjoberg, and Reynolds (1993). Bamford, James. 2008. The Shadow Factory: The Ultra-Secret NSA from 9/11 to the Eavesdropping on America. Doubleday, New York. De Genova, Nicholas, and Nathalie Peutz (eds.). 2010. The Deportation Regime: Sovereignty, Space, and the Freedom of Movement. Duke University Press, Durham, North Carolina. Friedländer, Saul. 2007. The Years of Extermination: Nazi Germany and the Jews, 1939-1945. HarperCollins Publishers, New York. Gómez-Barris, Macarena. 2008. Where Memory Dwells: Culture and State Violence in Chile. University of California Press, Los Angeles. Höss, Rudolph. 1992. Death Dealer: The Memoirs of the SS Kommandant at Auschwitz. Da Capo Press, New York. McCoy, Alfred W. 2006. A Question of Torture: CIA Interrogation, from the Cold War to the War on Terror. Metropolitan Books, New York. McSherry, J. Patrice. 2005. Predatory States: Operation Condor and Covert War in Latin America. Rowman & Littlefield Publishers, Inc., Lanham, Maryland. Taxi to the Dark Side. 2007 film of in-depth look at the torture practices of the United States in Afghanistan, Iraq and Guantanamo Bay, focusing on an innocent taxi driver in Afghanistan who was tortured and killed in 2002. Gramsci, Antonio. 1971. Selections from the Prison Notebooks. International Publishers, New York. Marcuse, Herbert. 1964. One-Dimensional Man: Studies in the Ideology of Advanced Industrial Society. Beacon Press, Boston. Thompson, John B. 1990. Ideology and Modern Culture. Stanford University Press. Stanford, California. Robben, Antonius C. G., and Marcelo M. Suárez-Orozco (eds.). 2000. Culture under Siege: Collective Violence and Trauma. Cambridge University Press, Cambridge, United Kingdom. Sjoberg, Gideon, Elizabeth Gill, Norma Williams, and Kathryn E. Kuhn. 1995. “Ethics, Human Rights and Sociological Inquiry: Genocide, Politicide and Other Issues of Organizational Power.” The American Sociologists Spring: 8-19. Talavera, Victor, Guillermina Gina Núñez-Mchiri, and Josiah Heyman. 2010. “Deportation in the U.S.-Mexico Borderlands: Anticipation, Experience, and Memory.” Pp. 166-195 in De Genova and Peutz (2010). The course “Immigration, Geography, and Race/Ethnicity in the United States” will focus on present U.S. immigration patterns from a socio-geographical perspective to understand the social process of migration an how it affects, and is affected by, different geographical conditions. Supplementing this formal course, an advanced graduate student will teach an Stata Lab to the REU students and introduce them to the multivariate analysis of migration data in a laboratory setting. Data data collected by other Population Research Center associates, and public access data of the large Mexican Migration Project housed at Princeton University will be used for rigorous statistical analytical training of the REU students. In addition, faculty members from the Department of Geography and the Environment will conduct workshops for the REU students that will focus on GIS and spatial data analysis, participatory GIS approaches, qualitative methods, and health and gender issues of research on migration and racial/ethnic relations. Finally a series of professionalization workshops, or “proseminars,” will be held for the students to discuss issues ranging from getting into and paying for graduate school to the myriad ethical issues that sociologists, demographers, geographers, and other social scientists confront in conducting their research and teaching. Castles, Stephen & Mark J. Miller. 2009. The Age of Migration: International Population Movements in the Modern World. Guilford Press. Messina, Anthony M. & Gallya Lahav (eds.). 2006. The Migration Reader: Exploring Politics and Policies. Lynne Rienner. Min, Pyong Gap. 2006. Asian Americans: Contemporary Trends. Thousand Oaks, CA: Pine Forge Press. Portes, Alejandro, and Ruben Rumbaut. 2006. Immigrant America: A Portrait. Berkeley, CA: University of California Press. The grading policy consists of the following: two exams (200), lab assignments (100), paper (100). Attendance is also graded, and students will lose ten (10) points from their cumulative points for each day absent. The letter grade will be determined as follows: A (360-400 points), B (320-359 points), C (280-319 points), D (180-279 points, F (less than 180). This seminar focuses on diverse patterns (Latin American, Asian, etc.) of international migration, how they are organized and how they affect societies and their populations across world regions. The topics addressed in the seminar include the following: historical and macro contexts of migration, the social organization of migration, gender/women and migration, impacts of economic restructuring, migration of highly skilled workers, levels of social incorporation, theories of international migration, state policies for immigration, restrictions against migrants, impacts of migration on sending communities and settlement areas. Note: I am authorized by the University to discuss grades only with students. To discuss a student’s grades with someone else (a parent), I need to have written permission beforehand from the student. The study of racial and ethnic relations is key to understanding the constitution of societies, especially as they become more diverse in the racial and cultural origins of their populations. This course is designed to provide a sociological understanding concerning the nature of racial and ethnic intergroup relations, as well as an understanding of how large (macro) and small (micro) levels of social interaction affect these relations. The course will cover the following topics: perspectives of immigration and racial formation; race and culture, structure and stratification; racial and ethnic attitudes and behavior; inter- and intra-group relations among racial and ethnic groups; historical waves of European immigration, new immigrants from eastern and southern Europe in the early 1900s; Native Americans; new racial and ethnic groups from eastern and southeast Asia; African Americans in U.S. society; Latinas/os in U.S. society; religious ethnic groups; and gender attitudinal/behavioral differences in relations between Latinos and African Americans. Vincent N. Parrillo. 2009. Strangers to These Shores: Race and Ethnic Relations in the United States. 9th edition. New York: Pearson/Allyn and Bacon. The course includes three in-class exams and a paper assignment of a minimum of five (5) pages. International migration patterns have become highly dynamic since the mid-twentieth century. It is estimated that over 200 million persons presently live in countries in which they were not born. Particularly dramatic is the migration of men and women workers from developing countries to advanced, industrial societies. This seminar uses an international sociological perspective to focus four dimensions of patterns of international migration: the social organization of migration, social incorporation and exclusion of new migrants, state policies to regulate international migration, and historical and comparative approaches to the study of international migration. Appropriate readings, including journal articles, will be selected for the seminar. This seminar is designed to survey social research and theory conducted across various topics of international migration. * Become familiar with the research methods and findings in the prominent topics of international migration research. Nigel Harris. 1995. The New Untouchables: Immigration and the New World Worker. Penguin Books. Office hours: TuTh, 2:30-3:30-11:30 PM, and by appointment. I check my email regularly and reply to student queries within reasonable time periods. Office hours: MW, 10-11 am, Tue, 10:30-11:30 am, and by appointment. I check my email on a regular basis; I will reply to student queries within reasonable limits. b) Students are required to submit a report (minimum of 6 pages double space) based on a review of two articles on immigration-related research that have been published in peer-reviewed journals. Guidelines for writing this research report are given at the end of this syllabus. I have selected the following journals for students to review and select the articles: International Migration Review, American Journal of Sociology, American Sociological Review, Ethnic and Racial Studies, Black Studies, Journal of Asian American Studies, Social Forces, and Social Science Quarterly. Additional journals may be added to this list during the semester. Please consult the course schedule below for the due date of the research report. Late research reports will be accepted up to one class meeting late, but will be assessed a 10-point late penalty. Students have to give the URL address of the articles if they are accessible on-line, or provide a copy of the first page of each article if they are not accessible on-line. The core values at the University of Texas at Austin are learning, discovery, freedom, leadership, individual opportunity, and responsibility. Each member of the University is expected to uphold these values through integrity, honesty, trust, fairness, and respect toward peers and community. All students in the course are expected to abide by the University of Texas Honor Code. Students are encouraged to study together, but they must do their own work on the research report assignments and on the exams. Students suspected of copying research reports from the work of someone else or of committing plagiarism, or cheating on exams, will be reported to the Dean’s Office and other administrators of the University. If you are worried about someone who is acting differently, you may use the Behavior Concerns Advice Line to discuss by phone your concerns about another individual’s behavior. This service is provided through a partnership among the Office of the Dean of Students, the Counseling and Mental Health Center (CMHC), the Employee Assistance Program (EAP), and The University of Texas Police Department (UTPD). Call 512-232-5050 or visit http://www.utexas.edu/safety/bcal. Familiarize yourself with all exit doors of the classroom and the building. Remember that the nearest exit door may not be the one you used when you entered the building. If you require assistance to evacuate, inform me in writing during the first week of class. In the event of an evacuation, follow my instructions or those of class instructors. Do not re-enter a building unless you are given instructions by the Austin Fire Department, the UT Austin Police Department, or the Fire Prevention Services office. This syllabus represents the initial design of the course. Changes concerning specific substantive content and dates may have to be made to increase the class learning opportunity. Any such changes that are made will be communicated clearly and are a normal part of the management of a course. On-line: Massey et al., 1993, “Theories of International Migration: A Review and Appraisal,” Population and Development Review, Vol. 19, No. 3, pp. 431-466. Eschbach et al., 1999, “Death at the Border,” International Migration Review, Vol. 33, No. 2, pp. 430-454. PR, chapter 6; Eschbach et al., 2008, “U.S. Deportation Policy, Family Separation and Circular Migration,” International Migration Review, Vol. 42, No. 1, pp. 64-88. From the list of approved journals, select two research articles addressing immigration research. The list of approved social science journals is the following: International Migration Review, American Journal of Sociology, American Sociological Review, Ethnic and Racial Studies, Black Studies, Journal of Asian American Studies, Social Forces, and Social Science Quarterly. What are the title and topic of the article? Why is the research reported in the article significant? What type of study is it (quantitative, qualitative, etc.)? Do the authors have hypotheses or research questions they are trying to answer? If so, what are they? Describe in detail the research methods and procedures used in the research reported in the article? What are the key findings of the research? What do the authors conclude from their research? Write an evaluation of the research presented in the two articles: how do the articles compare in providing useful research information? You may comment on the way the articles were written and/or on the actual research conducted. For example, you can comment on how the articles complement each other, or how they could be improved, or how the research could have been done differently to take into account other factors (such as the influence of gender, etc.). Please follow these rules when printing your paper. Place your identification (name and EID) on your paper. Double space, 1.25-inch margins, 12-point font, black ink on white paper (letter size) not used previously, insert page numbers. The paper will be graded for substantive content (development of ideas and discussion in the paper) and quality of writing.